WELSH HIGHLAND RAILWAY Now fully restored and connected to the Ffestiniog Railway. Dramatic steam action with 2 Garratt locos. 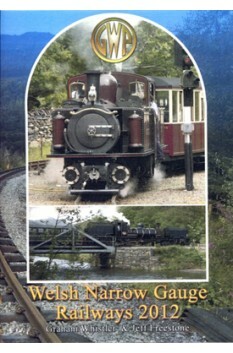 FFESTINIOG RAILWAY An all new update on this well loved 2ft railway ending with dramatic run of two FR locos on WHR! VALE OF RHEIDOL RAILWAY A dramatic 12 mile line to Devils Bridge from Aberystwyth. 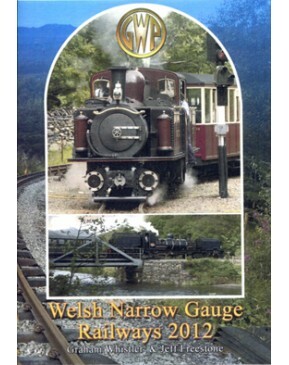 WELSHPOOL & LLANFAIR RAILWAY Featuring busy summer services with two recently rebuilt locos. BALA LAKE RAILWAY A friendly tourist railway with small locos and fine lake views. LLANBERIS LAKE RAILWAY This railway in the shadow of mighty Snowdon, like Bala also runs the smaller quarry 2ft locos.